A while back we ordered in some rattlesnake vaccine for a client. Soon after that we received a small box in the mail. When opened, there was a rattlesnake head just peeking out from the packaging peanuts. The box was quickly closed again. No one really wanted to open it up and investigate, but finally some brave employee opened it and extracted from the box a very realistic looking coiled rattlesnake display. We thought it a little strange that the company sent us a display. 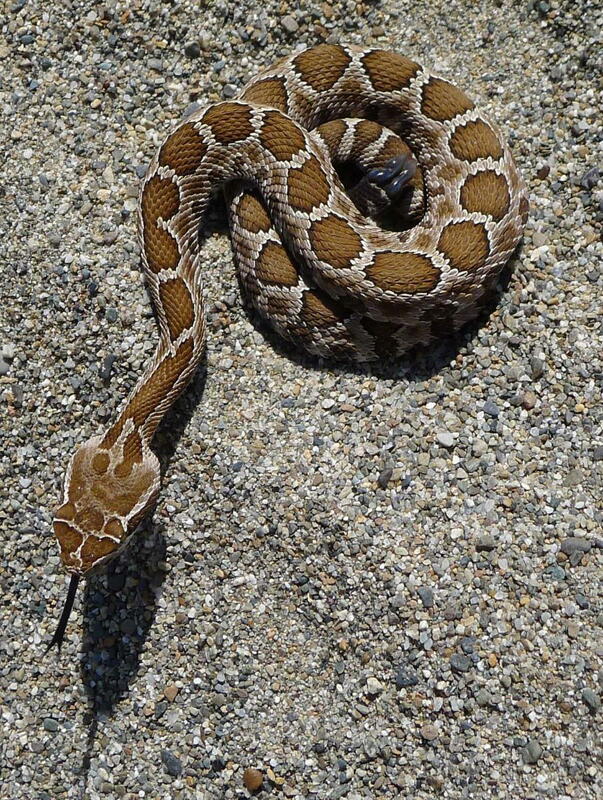 We didn't really need to advertise rattlesnake vaccine - it's not something we use a lot. Dr. Mathis decided to do away with the thing so nobody could use it for practical jokes and have it popping up all over the clinic on unsuspecting persons, especially himself. He threw it on the floor and smashed it to pieces. Turns out, the display wasn't even a freebie - We later got a bill for it --- go figure. (I think Dr. Mathis enjoyed smashing it anyway, even if it did cost him $$$).